Author, tech CTO, engineer, and some other things too. Here's a piece of startup founder advice that's sure to be controversial: don't overinvest in engineering. I find myself giving this advice more and more often, especially as available capital in the NYC startup market has grown substantially over the last decade or so. I'm a CTO, an engineer, and a founder, and I love investing in engineering. So I want to be clear: I'm not saying not to invest in engineering. I'm just saying don't over-invest in engineering. Put another way: you must invest in engineering. But I've seen too many good companies and good founders fail because they've over-invested in engineering. I'm sure you can come up with dozens of counterexamples and ways this advice can fail you. As long as this article gets you really thinking critically about how much your company in your circumstances should be investing in engineering, I'm happy. If you build it, they won't come. I've seen many founders wait until their v1.0/prototype/MVP is launched before starting to hit the pavement and sell. The 1.0 launch is seen as an inflection point: "Time to start selling!". But if you weren't selling beforehand, how do you know what to build? And how do you know how to sell it? I've also seen many companies build their initial product and engineering team long before they even think of building a sales team. Just as your engineering team is using these early days to learn how to work together and develop the initial product and organizational framework, you should have some semblance of a sales team learning how to do the same. Many early stage startups will have a CTO and an engineer or two building the prototype, while the CEO is going out and selling solo. The problem here is that it takes time and effort for a sales team to build their materials and relationships, so the company will end up with a full quarter or two where the sales team just hasn't hit their stride enough in order to provide the crucial early product and sales feedback. At a four-person startup: instead of CTO + 2 engineers and a CEO solo, try CTO + 1 engineer and CEO + 1 salesperson. Your engineering team, while necessary, simply won't bring you customers, users, or revenue at any scale necessary to build a lasting company. Your product won't magically get customers because of its virtues. You don't actually need strong technical foundations. Your early technical foundations may be valuable in some regards, but not nearly as valuable as figuring out a) who your target market actually is, b) learning how to sell to them c) figuring out what pivots are necessary to the product. Your early technical foundations may even end up being not valuable at all, depending on what you learn in the early days and if you end up piviting your product. What you need is a strong sales foundation. Yes, even at an early stage. Don't wait for a v1.0 to start getting salespeople in front of customers. Learn what your customers' needs are, learn how to find them, learn how to pitch to them, learn how to close sales. The engineering team doesn't do that work: the sales and marketing team does. Odds are your early technology is going to be totally unrecognizable in a year or two anyway! Don't overengineer the technology. You most likely don't need strong technical foundations. You need strong sales and marketing foundations. You don't need to build a great, award-winning, delightful product. The best way to burn your entire budget is to try and design the best possible product. A lot of product teams believe that their product needs to deliver a "delightful experience", that it needs to outclass its competitors in every regard, and that no compromises can be made. If you can afford to build a best-in-class product, that's great. No early-stage startups can afford that, however. Your goal should be much more attainable: your product simply needs to deliver on its promises. That's it. Do not (yet) strive to "exceed expectations". Just strive to meet them. It's true that the above study applies to customer service experience and not product experience, but I'm extrapolating to product just the same. Build a product that simply delivers on its promises. No more, no less. A larger engineering team will only do more engineering. A larger product and engineering team won't necessarily build a better product -- in the eyes of your customers. They'll build a bigger product, more features, and more technology. They'll build to a higher degree of tolerance. They'll do more engineering. They might build a better product by every internal measure. Those things sound great, but are actually another trap. Similar to the "exceeding expectations" trap, a larger product and engineering team will only build a better product -- in the eyes of customers -- 10% of the time. Don't invest in those odds. Most well-staffed engineering teams want to build the software equivalent of a McLaren F1: a beautiful, finely tuned, handcrafted vehicle. Every piece custom built and machined. But if you build a McLaren, it'll cost a million dollars to produce and you'll only sell 100 of them. What you really want to build is a Toyota -- something that meets expectations and reliably delivers on its promises. Just that modest goal is incredibly difficult to achieve, so start there! Another apropos example is the Juicero juicer. The device was overengineered to the nth degree, and the company almost certainly lost hundreds of dollars on every unit sold. Because your engineering department is a cost center, you should fund it only to the level that it needs to build a product that meets expectations. Founders should not run teams in proportion to their ownership. I think another easy trap to fall into is brought on by the two-founder CEO/CTO model. When two founders split ownership equally it's tempting to feel that each founder should run roughly equivalently sized teams. The company ends up being a 50/50 split of sales/ops and product/engineering, and I've even see this happen at companies with 30+ employees. Once a company has more than a handful of employees, however, that 50/50 ratio doesn't make much sense. Sales, marketing, operations, and customer support (ie, the "non-tech" side) should begin to outgrow the technical side (product and engineering) relatively early on. Equal founders want to feel like they have an equal level of responsibility within the company, and often see the number of employees under management as a measure of that responsibility. It isn't. If you're a founder/CTO, don't forget: you're a founder first. Yes, the bulk of your focus will be on product and engineering, but don't let that be all of your focus. Figure out how you can use your skills to enable the sales, marketing, ops, and support teams. If you're a founder first, you should be doing what the company needs most, not necessarily what you like doing best. Your value and responsibilities don't come from simply managing a headcount, so don't use that as a vanity metric. Your most important job as a CTO is to figure out how to run a lean team successfully. Figuring out how to achieve your product's goals with the minimum resources necessary is your biggest responsibility, and your biggest challenge. You should be doing everything in your power to allow your company to invest as much as it possibly can in developing sales, marketing, customer relationships, and customer loyalty: the profit centers of your company. Get your company to profitability, and then revisit your organizational goals. If, after profitability, you still want growth, then keep investing in sales. If you want polish, then invest a little more in engineering. But until you've reached financial stability, keep your cost centers in check, and make sure not to overinvest in engineering. I'm well aware the advice above will be controversial to some degree. But I've seen dozens of companies fail because of misallocated team investment. I know many really great product-focused founders who have had to close shop because they didn't invest enough in profit centers, and many of them have told me point-blank that they wished they had invested more in their sales organization. Meanwhile, I know many technical founders who admit they can achieve their product and customer goals with much less. So please, take this opportunity to think critically about how you're allocating your team, and adjust accordingly! 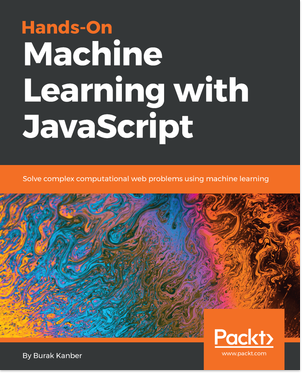 It's the perfect way for an experienced developer to get started with machine learning. I hope you like it!